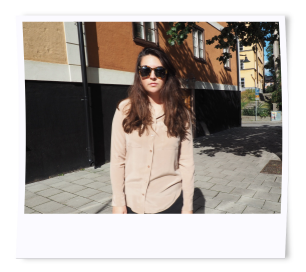 these two photos are from when i went to denmark last summer, and went to monki and weekday many (and i mean many) times. its really a cool shop, and now monki is coming to london, yay! its opening september 1st, in selfridges. definitely going to buy some blouses and jumpers. really love all their shapes, and its kinda cheap too. wish it had come over soon, but i guess late is better than never! Loving the jumper! It's so lush. Dear god...I need ALL of these items. Love love love. I love their stuff, I'm always getting the magazine and fawning over their lovely stuff! It's great to know they're openening a shop in london; rezally can't wait! ahhhhow i love monki! great post.